3 Bedroom House For Sale in Rotherham for Offers Over £275,000. 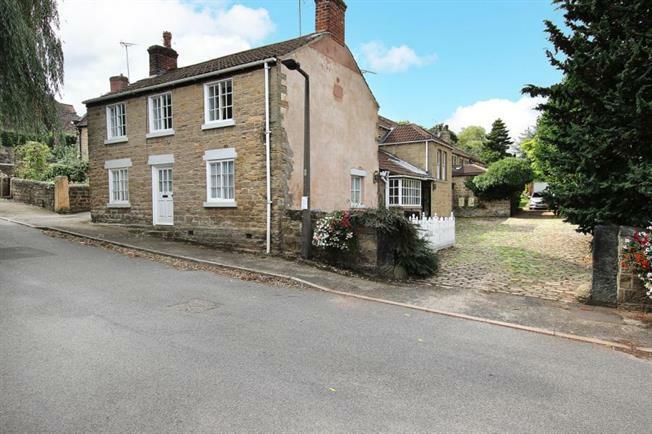 Set in this beautiful rural village location, steeped in character, is this delightful, deceptive in size, converted school house. Boasting some truly stunning character features including tall sash windows, original style shutters to an array of windows, bespoke French style radiators in Farrow & Ball colours, bespoke kitchen with polished African granite work tops. Along with generous room sizes throughout, mezzanine gallery landing previously used as a music room, double garage along with multiple vehicle parking, court yard style grounds and having exciting opportunities for further potential for the new lucky owners. We advise taking a peek at the floor plan to get a true sense of the size of this beautiful property. With three/four reception rooms, bespoke kitchen, utility room, cloakroom WC, gallery landing, three good sized bedrooms and a family bathroom. The village is conveniently placed for rural walks, bus links, primary school and an easy commute for motorway access. If character, style and size are what you're after, a viewing is essential to take true appreciation in this lovely character home.